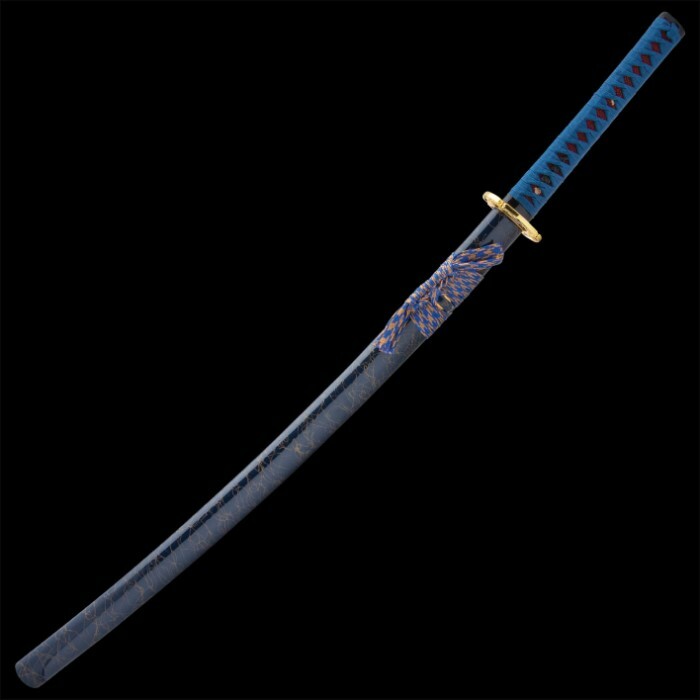 Both a stunning beauty and fierce Damascus beast, our Shinwa "Lazuli" Katana has intricately beautiful blade patterns that give each blade a one-of-a-kind appearance and delivers layers of outstanding cutting power. The powerful 28" blue Damascus steel blade is perfectly complemented by its blue lacquered hardwood scabbard with its gold painted accents. 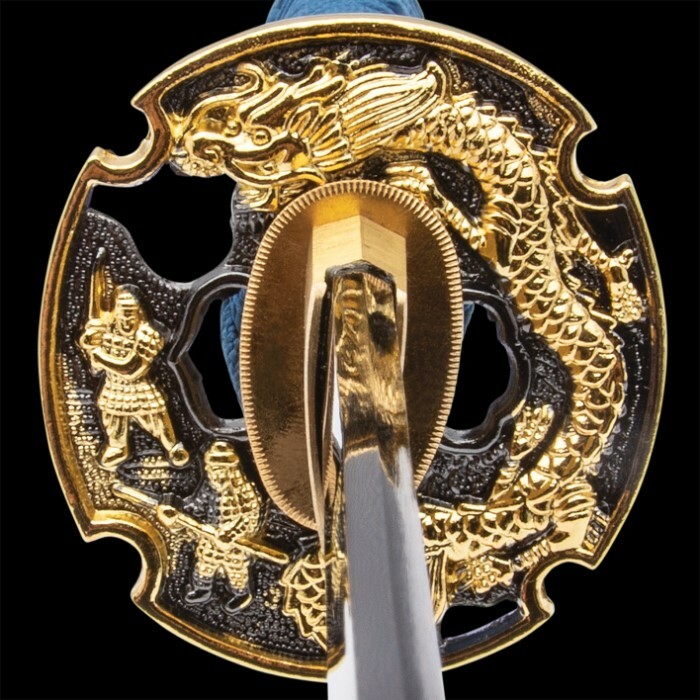 Other unique accents and details like the dragon-themed cast metal tsuba and menuki and brass habaki give the sword a custom look and feel. This piece features a hardwood handle that is wrapped with genuine ray skin and blue nylon cord. 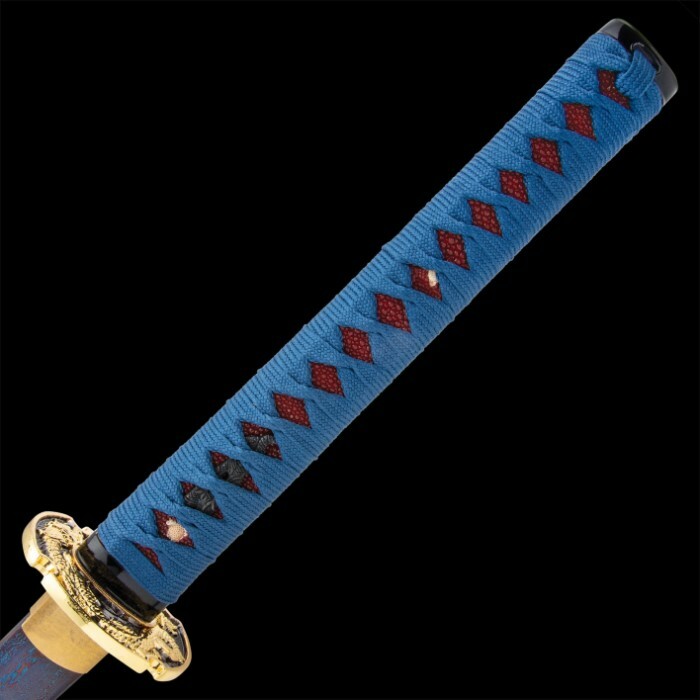 Shinwa swords have a quality standard like no other! This was my first purchase from this website, I was blown away by the craftsmanship. The color is much darker than advertised which was disappointing. Over all I would definitely order from here again! 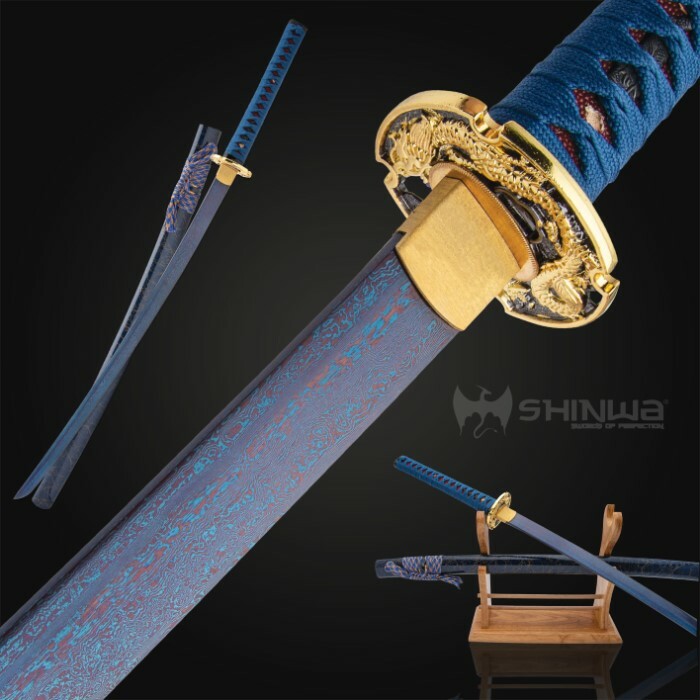 I bought this as my first purchase and it is a beautiful sword, the blade is a much darker blue than in the picture which was somewhat disappointing as I bought it due to the color because it is my favorite shade of blue in the picture.